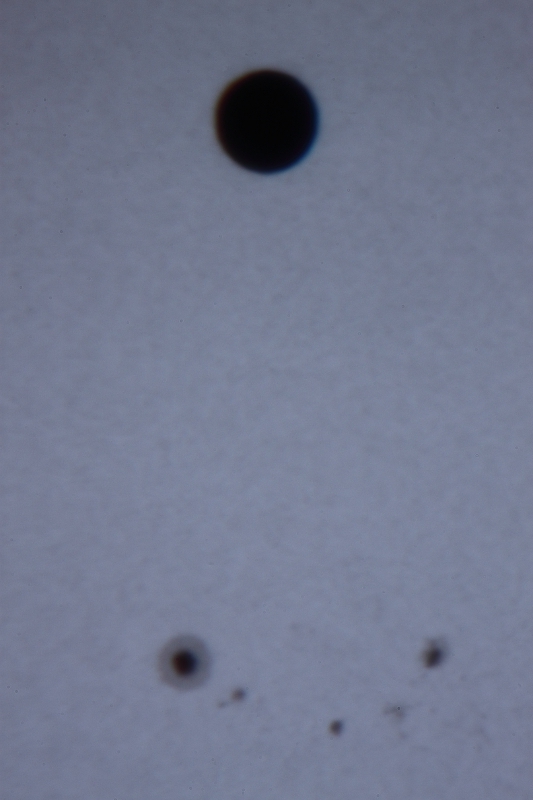 My second Venus transit where I saw 1st thru 4th contacts. I guess I'll have to leave the planet to see a third! Last time it was under perfect clear skies in Baumholder, Germany. This one was in and out of clouds the middle 4 hours of the transit and mostly clear during the initial ingress and final egress!!! And I didn't have to leave my county or country this time. Last edited by owlice on Wed Jun 13, 2012 8:12 am, edited 1 time in total. 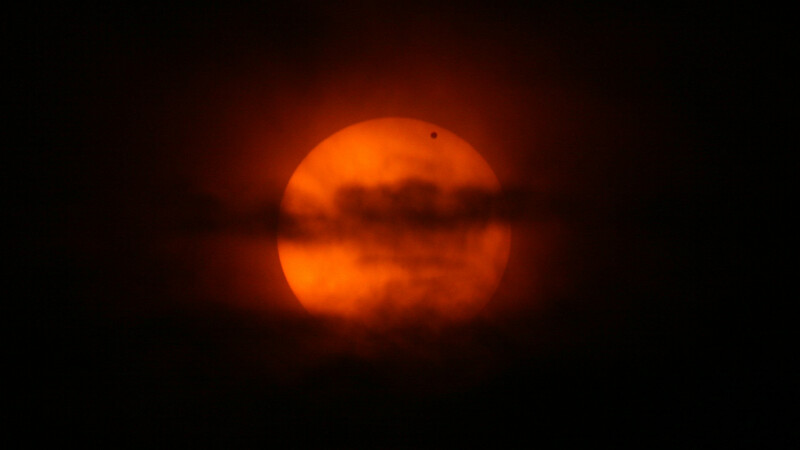 Image of the Sun setting behind the McMath Solar Telescope on Kitt Peak with Venus in Transit. Craig wrote: This image was taken at about 5:00 Mountain Time, just west of Morrison, Colorado. The formation is known as Halfway Arch, probably because it's not truly an arch. It's two outcroppings of rock that look like an arch when viewed looking West. I grew up in this area, and didn't know that it wasn't an arch until just a few years ago. This one is really interesting in that the foreground rock resembles a small child looking into a pinhole camera to see the image of the sun carried through a small telescope and displayed on a curved surface. Obviously, it's a reflection of a small child looking into a pinhole camera through the arch into a telescope reflecting the image of the arch onto a curved surface that's reflecting the image of the Sun. I don't know why you can't see that. 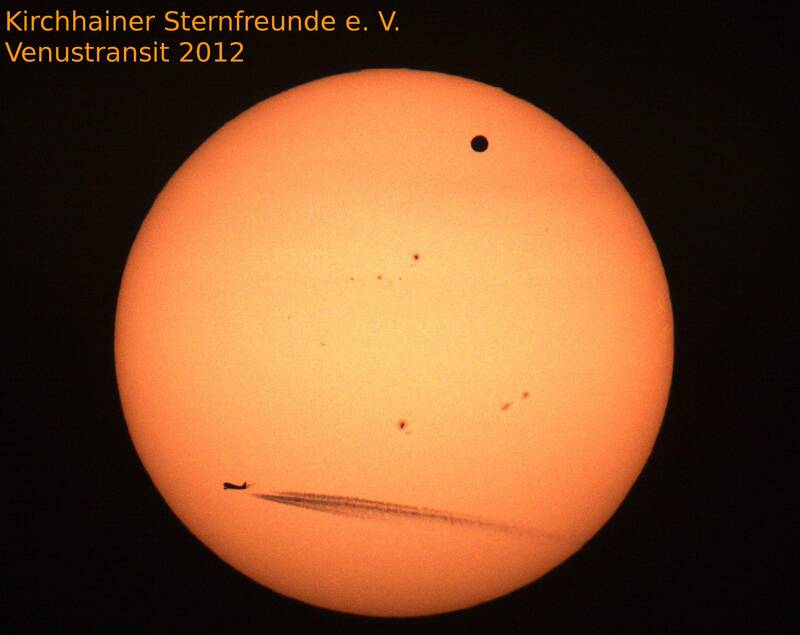 Copyright: Kirchhainer Sternfreunde e. V.
Last edited by owlice on Wed Jun 20, 2012 9:39 am, edited 1 time in total. Well, I finally got around to post these pictures I felt the planning and desire really paid off - I was not skunked! Washington state was really socked in, and the last minute serious review of predicted weather patterns suggested I go towards the direction of incoming weather fronts instead of away! 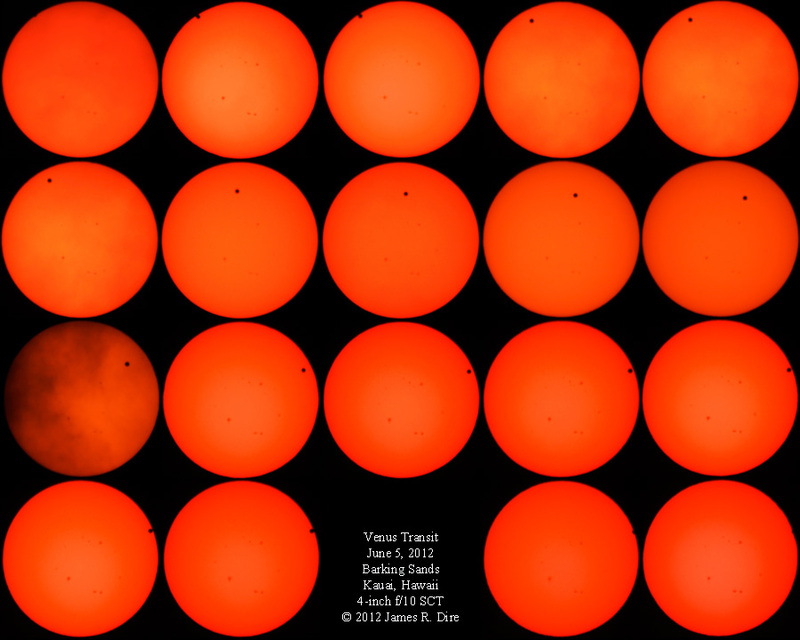 As predicted, a clear band allowed decent viewing early on toward the SW (Vancouver, WA), and although I had a some troublesome clouds plus a few rain showers, I was elated with my view of the transit. I felt very lucky to barely capture the 2nd Contact and some of the ingress sequence - one problem cloud thinned just out enough to see it.